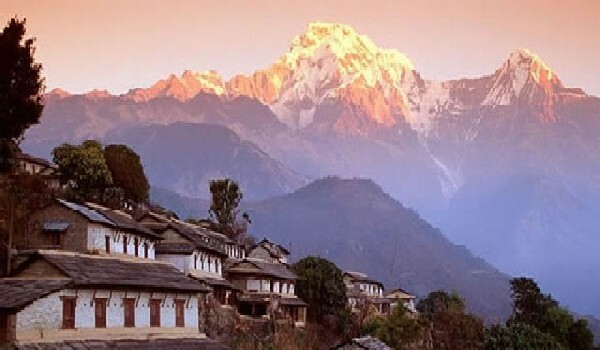 The trek in the foothills of Annapurna Himal provides an opportunity to visit villages and experience the cultural life of people living in hills. The elevation does not reach over 2000 meters and it is not a strenuous trek. Weather along the trek is quite warm except in December and January and snow is not expected. The trail is very much used by local people and traders and there are many tea shops dotted along the trail with the famous Machhapuchare peak always in evidence. The trek is ideal for those people interested in photography and birding and are not looking for a strenous time in Nepal. Day 2: A scenic drive / approx 6 hours to Pokhara / then on to Sarangkot Hill / overnight at Sarangkot Hill. Day 4: Photography of Annapurna range in the morning / Sunrise views / trek back to Kande and drive to Pokhara / p.m. at leisure / boating / paragli9ding / zip lining. Day 5: Drive back / Kathmandu / transfer to Hotel. Day 6: City tour of Kathmandu / in the morning / afternoon drive to Nagarkot / stop medieval city of Bhaktapur the city on the way / overnight resort hotel / great sunset views. Day 7: In the morning / great sunrise views of Lantang, Annapurna Khumbu Himalayan ranges / drive back to Kathmandu / transfer hotel. Day 8: Transfer to airport as per the flight schedule / fly back home or onward destination.